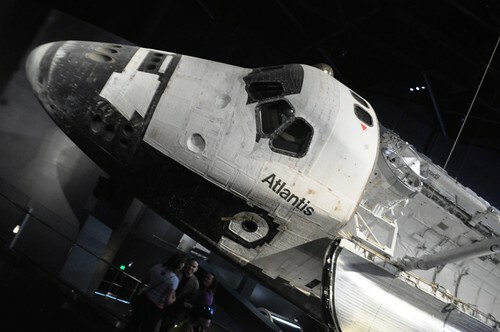 My fascination with the space shuttle program came full circle over the weekend – kind of – with the opening of Space Shuttle Atlantis at the Kennedy Space Center Visitor Complex. Walking into the exhibit area seeing the final space shuttle to fly in space was a bit overwhelming and I felt like a galactic rock star. I literally had chills seeing it after watching two brief movies building up the excitement and anxiety. It was definitely one of those “Tah-dah!” followed by “Ooooh!” moments. While I was trying to soak in that “wow” moment, the media were trying to capture the raw excitement and awe from first-time visitors. Yup, I was one lucky gal, but how did it happen? Timing is everything. I had a meeting scheduled in Cocoa Beach that weekend and the morning of Saturday, June 29, was left open. Perfect! I purchased the Commander’s Club: Year of Atlantis Annual Pass online which was $55 plus tax. Considering general admission into KSCVC is $50 plus tax and parking is $10, I saved money with just my first day of using it! Well, kind of. I was only there for about three hours yet it was worth every single penny. Year of the Atlantis Annual Pass is available for a limited time. Standing in the 80-something-degree heat and what felt like 90 percent humidity, I stood alongside hundreds, maybe thousands, of new space enthusiast friends through the nearly hour-long opening ceremony. Dozens of astronauts representing Atlantis missions (and beyond) were in attendance along with NASA administrator Charles Bolden (NASA Astronaut, STS-31, STS-45, STS-60 and STS-61C), Kennedy Space Center Director Bob Cabana (STS-41, STS-53, STS-65, STS-88), Delaware North Companies Parks & Resorts President Rick Abramson and Kennedy Space Center Visitor Complex Chief Operating Officer Bill Moore. Following a countdown to the grand opening which included some sort of pyrotechnics underneath a full scale, 184-foot tall replica of the space shuttle’s external tank and two solid rocket, I went with the flow into the facility. Of course it was packed. There was a bit of a wait to enter the first theater area explaining the 12 years from conception to completion of the first space shuttle launch. Next, the group was led into another theater which was more of a space shuttle mission immersion beginning with a launch and ending with a landing with a space walk in between. 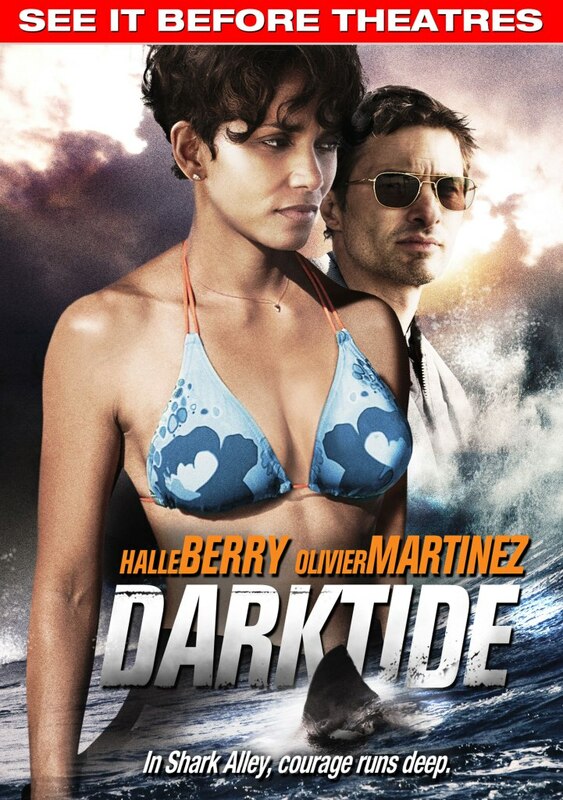 During the film, look ahead, up and around and it’s almost like being in space. This all sets up for a dramatic introduction to space shuttle Atlantis. The screen lifts revealing the orbiter RIGHT THERE yet a light screen acts as a barrier you just want to run through. Patience, Grasshopper. 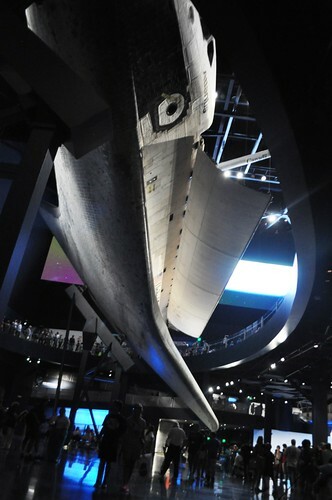 The screen soon lifts revealing space shuttle Atlantis staring you right in the nose. I mean, no matter where you’re standing in that theater, the shuttle is RIGHT THERE. Suspended and positioned at a 43.21 degree angle with the payload bay doors open and Canadarm (robotic arm) extended, space shuttle Atlantis allows you to imagine the orbiter on a mission. It looks as though you can just reach out and touch it but ya can’t, I tried. Head down to the exhibit below to look at the shuttle’s black belly protected by those heat-resistant tiles. My visit was short and was only able to spend less than an hour inside the exhibit, which is far too short of time because there are more than 60 exhibits – many interactive – to learn more about the shuttle program and what it’s like to be an astronaut. Have you ever wanted to sit on astronaut potty? 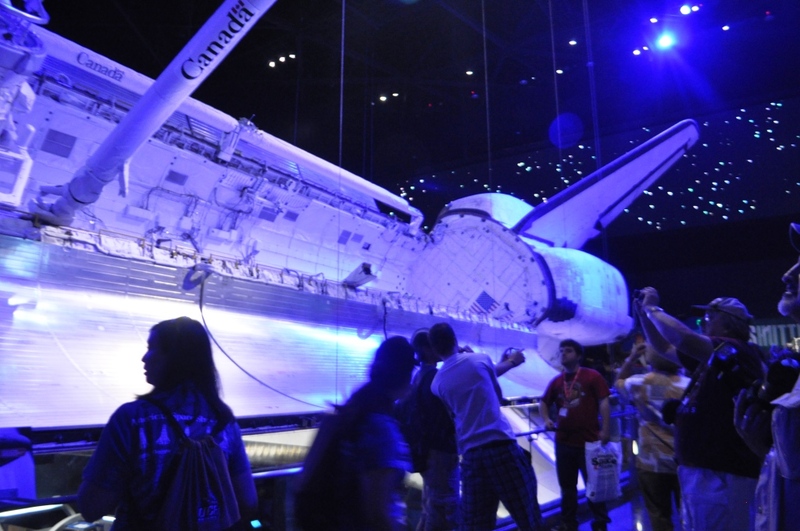 You can (no pun intended) at the Space Shuttle Atlantis exhibit! 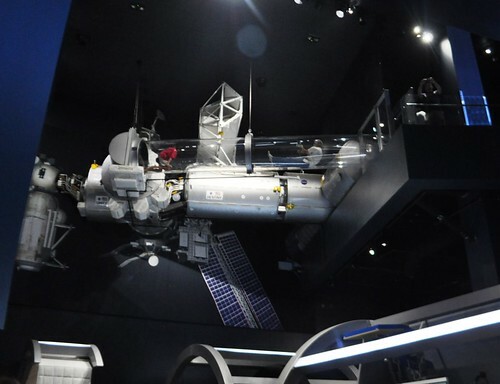 See if you have the right stuff at the Astronaut Training Simulator Gallery. What does weightlessness feel like? Get that floating in space feeling by crawling through a 22-foot-long clear tube suspended 25 feet in the air which simulates the weightless sensation of space. My friends at BucketTripper have a great piece on the exhibit from the perspective of someone who worked in the space shuttle program. Visit the post, On a Mission with Space Shuttle Atlantis . To continue the thrill of space flight my summer reading is The Astronaut Wives Club by Lily Koppel. Have you read it yet? And here’s a video of the final landing for space shuttle Atlantis with Tweets posted by #NASATweetup (now #NASASocial) #SpaceTweeps. 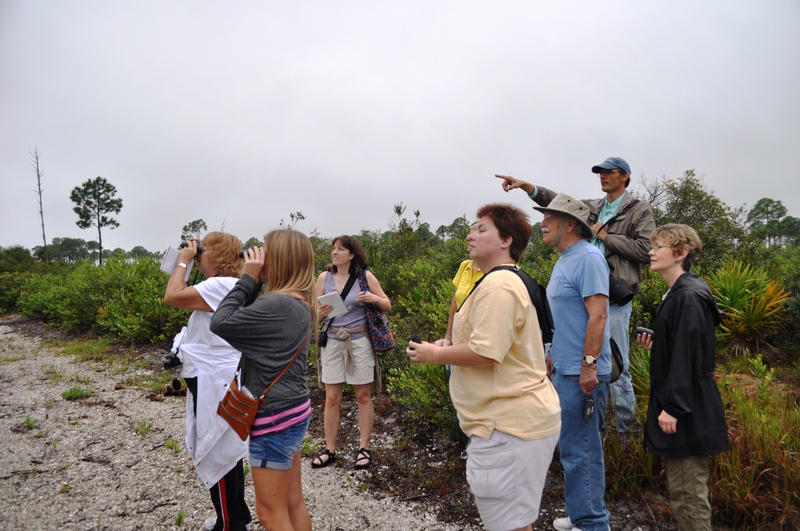 Located less than an hour’s drive east of Orlando in Brevard County, the Kennedy Space Center is a must-see attraction when visiting Florida. (The drive is about three hours from my home in North Port.) It opens daily at 9 a.m. (closed December 25) and certain launch days. 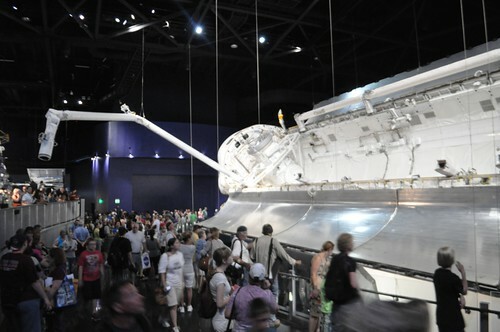 Admission includes the including the Kennedy Space Center Tour featuring the Apollo/Saturn V Center with an actual Saturn V moon rocket, the new Angry Birds™ Space Encounter, Shuttle Launch Experience, 3D IMAX® space films, Astronaut Encounter, Exploration Space: Explorers Wanted and many other interactive exhibits. 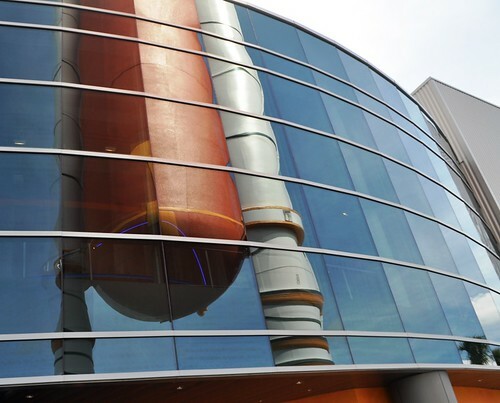 Admission also includes the U.S. Astronaut Hall of Fame®, featuring historic spacecraft and the world’s largest collection of personal astronaut memorabilia, which opens daily at noon and closing times vary by season. Only 45 minutes from Orlando, Fla., Kennedy Space Center Visitor Complex opens daily at 9 a.m. with closing times varying by season. Admission is $50 + tax for adults and $40 + tax for children ages 3-11. In honor of the Year of Atlantis, the Kennedy Space Center Visitor Complex Commander’s Club Annual Pass is on sale for a limited time at a discounted rate of $55 + tax for adults and $45 + tax for children ages 3-11 when purchased online or by phone only. Regular price of $63 + tax for adults and $53 + tax for children ages 3-11 applies for all gate purchases. 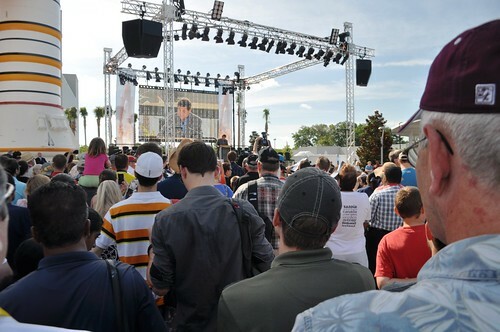 For more information or to purchase tickets or an annual pass, call 877-313-2610 or visit www.KennedySpaceCenter.com. *Trivia: Here’s my six degrees of separation from the Kennedy Space Center: When I first worked in Yellowstone National Park (1990) I worked for a company called TW Recreational Services owned by Canteen Corporation which also managed visitor services at Kennedy Space Center. TW Recreational Services was eventually sold to Amfac Parks & Resorts (1995? 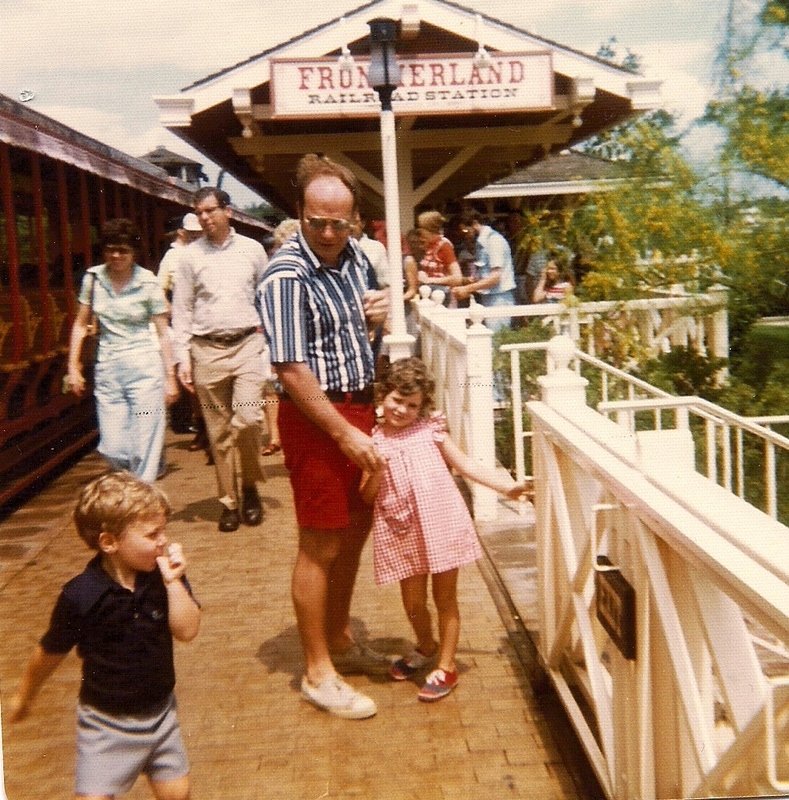 ), parent company of the Fred Harvey Company. 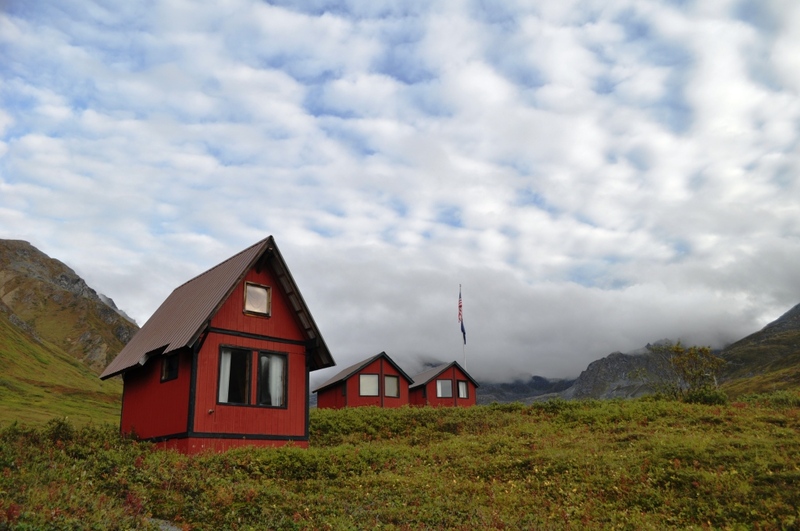 The name was eventually changed to Xanterra Parks & Resorts. Delaware North, with headquarters in Buffalo, N.Y., took over the contract at the Kennedy Space Center after TWRS. I applied for a job with Delaware North in 1999 but by the time they called me back to set up an interview I had already accepted a job with the Sarasota Convention & Visitors Bureau. Small world, huh?